I’m going to build rock wall. That’s what I decided, three years ago. 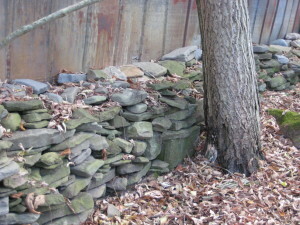 A long rock wall along the foundation of the house and another alongside our beat-up old garage. It will look scenic, rustic, picturesque. Classic New England, Robert Frost and all that. 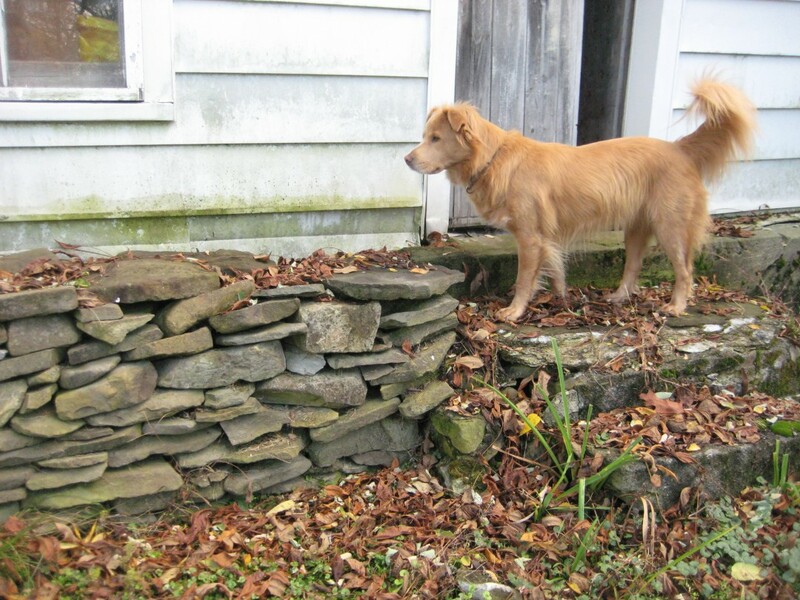 I love rock walls, and they’re easy to build, right? After all, how hard can it be to pile one rock on top of another? 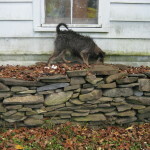 I started out one bright fall day with a pile of flat stones and a lot of enthusiasm. After ten minutes, things were still going pretty well. After twenty minutes I’d dropped a rock on my finger and my enthusiasm was diminishing. After thirty minutes I was on the porch with an iced tea, nursing my sore finger and strained back, and giving up on rock walls. But still. 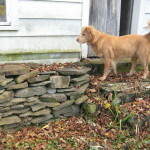 I really wanted a rock wall, especially by the garage to strengthen the old and rickety foundation. Back to work, but more slowly this time. 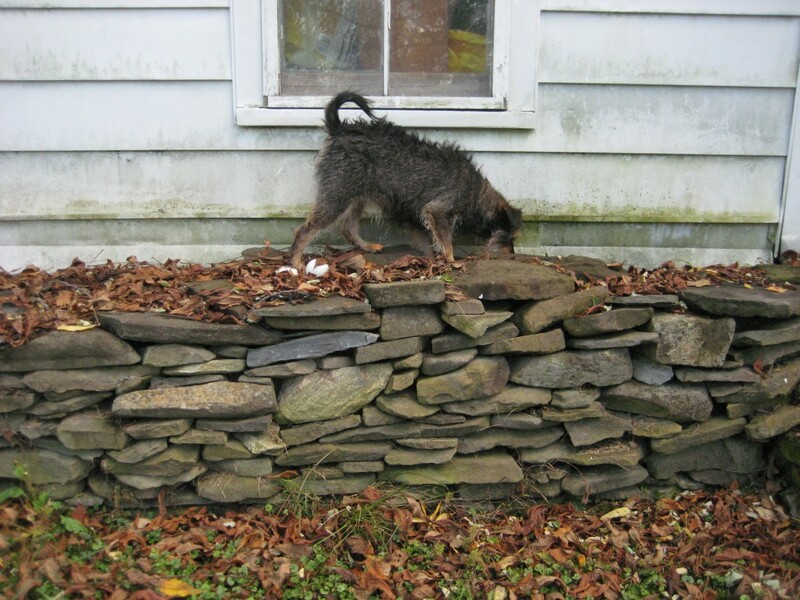 Building a rock wall is something you just can’t rush. I decided I could handle three rocks a day. Three rocks a day. Every day, almost. Some days I stack three big bruisers. Other days, I add three pebbles. It’s okay, even the little rocks help to stabilize the big ones. Some days or even weeks I skip it, but then I get back to it, three rocks a day. My staff inspects often to ensure good quality control. Three years later, my rock wall is an average of two feet in height, and totals 47 feet in length. Three rocks a day. I’m thinking of going to four rocks a day, but I don’t want to get carried away. Great pictures of your staff!